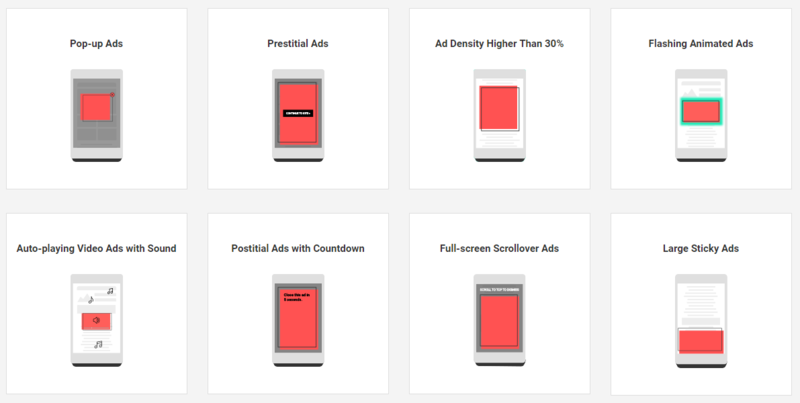 In June of last year, Google revealed it was working on a built-in ad blocker for Chrome. But instead of outright blocking all ads, it would only block intrusive advertising, as defined by the Coalition for Better Ads. Pop-ups, animated or auto-playing ads, scroll-overs, and large banners are disallowed. Put simply, websites would have to play by the Coalition's rules, or risk losing ad revenue from Chrome users. In December, the company announced that the blocker would go into effect on February 15, which is tomorrow. Google published a blog post today, which goes into detail about how the blocker works. Websites will be evaluated using a sample of pages, and depending on how many violations are found, the site will be given one of three ratings - Passing, Warning, or Failing. Site owners will be notified through the Google Search Console, and they can request the site be re-reviewed after they have addressed the complaints. 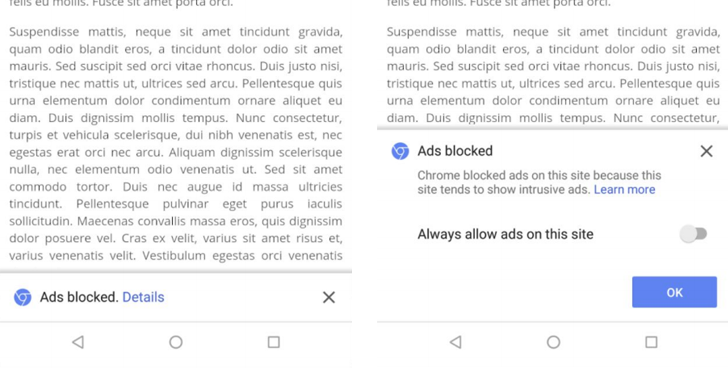 As long as the site is marked as Failing, Chrome will block all ads on pages from the site, while showing an 'Ads Blocked' message to users. The blocker is based on the EasyList filter (which is used by just about every ad blocker), and also affects Google's own AdSense and DoubleClick platforms. Google says that as of February 12, 42% of sites that were previously failing the Coalition's standards have resolved their issues, so the ad blocker is already showing results.